Mallorca the largest island of the Balearic Islands is a popular tourist destination, every year many German, Dutch, English tourists visit this island because of its rich nightlife, beaches, also this islands is perfect for bicycle lovers and for hiking. Rent now a cheap car with Rentalcargroup.com to explore this beautiful island. When it comes to popular tourist destinations, Mallorca is high on the list. As the island sees an average of 300 days of sunshine and good weather each year this is not surprising, but tourists visit the island for many reasons and car rental provides a solution for those who want to do more than lie on a beach. As the largest island in the Balearic group, there is plenty to see and do and this is a great place for a family holiday. 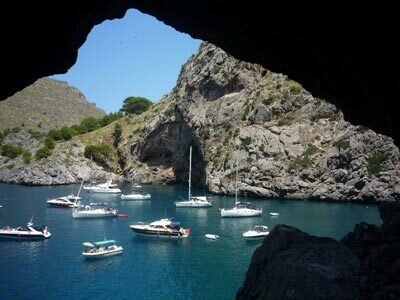 While many tourists come to Mallorca for the resorts, the island has some natural attractions too. The Mallorca Caves are a very unique attraction. This is a network of more than 200 caves which have natural features such as underground lakes, stalactites and stalagmites. A number of the caves are open to the public and a guided tour can help you to learn more about them. Occasionally a concert is held in the caves to make the most of the natural acoustics. Entertaining the children can be difficult on holiday and car hire in Mallorca can be useful here. Pack the family into the car and head to Aquacity. This is close to the city of Palma and there are a number of swimming pools, slides and play areas which will keep the kids busy for hours. Alternatively, Marineland is a great place for a family day out. The dolphins are popular and feature in regular shows. Kids will also love the collection of sharks, crocodiles and the reptile zoo. For a taste of the traditional in Mallorca, a trip to Placa Major is a must. This square was developed in the 19th century and is now home to a variety of shops, cafes and restaurants. There are often stalls which sell locally produced goods and it is one of the best places to find a souvenir to take home. Visitors who have opted for car rental will have no trouble parking in the area thanks to the addition of an underground car park. The harbour at Palma is close to other attractions such as La Seu Cathedral. This is a very busy area and trips around the harbour are available on some of the pleasure cruisers. Trips to the other islands in the group are available by ferry from this port. Arranging Mallorca car hire can be done easily and without breaking the bank. Everyone is looking for a convenient method of transport these days as they want to be able to go where they like, when they like. Car rental can make that happen. Not every car rental company at Mallorca Airport has an office in the terminal building, therefore it can be that a representative from the car rental supplier will meet you in the airport terminal at the ‘Meet and Greet’ to take you to your rental car. When traveling to Mallorca we advise to carry some EUR to avoid any unwanted surprises. At Mallorca Airport there are Money Exchange offices in order to change your local currency. The local time code for Mallorca is CEST. When traveling to Mallorca make sure to check the local weather conditions in order to avoid any unpleasant surprises. Mallorca has approximately 859,289 inhabitants. Parking your rental car in Mallorca Airport can best be done in a garage. Its safer for you and your rental car. There might be the possibility to park your rental car in the outskirts of Mallorca Airport and move around by public transportation which is not too expensive and will compensate for the parking fee you will need to pay if parking in the city center. Take in mind that many big cities have a city center only accessible for locals or delivery purposes. Last month, the average car rental length at Mallorca Airport was 5 days. The average rental car length at Mallorca Airport is 6 days. The most booked rental car type currently at Mallorca Airport is ECONOMY cars. Last year, the most booked rental car type at Mallorca Airport were ECONOMY cars. How much does it cost to rent a car at Mallorca Airport? Last month, the average car rental price was 131 USD. Last year, how much did it cost to rent a car at Mallorca Airport? Last year, the average car rental price was 121 USD. What is the current average daily price to rent a at Mallorca Airport? Last month, the average rental price was 25 USD per day. How much did it cost to rent a car at Mallorca Airport over the past 12 months? Last Year, the average rental price was 19 USD per day. The car rental companies available at Mallorca Airport are: Alamo, National, Enterprise, Interrent, OKrent. See below last 5 customer reviews. Our customers rated Mallorca Car Rental with an average of 8.00 based on 1 ratings.